Posted on 29th January 2019 by Jenii Lowe. We’ve all been there. Your business is well overdue for a new blog post but you have absolutely no idea what to talk about. And as you’re sitting in front of a mockingly blank screen, it gets harder and harder to think of something valuable to say. If you’re wondering how other marketers seem to have a list of content ideas as long as their arm, then stick around. We’ll be looking at 8 tried and true and totally free methods to find relevant and useful blog post ideas that your audience will love. There are a lot of best practices in content marketing – flying by the seat of your pants isn’t one of them! To make the best decisions with your content, you need a compass to orient yourself by. Any content marketing you do needs to be propped up with a robust content strategy. Establishing what you want to talk about, with who, when, and why can help influence your choice of topics. Developing a content strategy is a massive topic in and of itself, so check out my recent article The Complete Guide to DIY-ing Your Content Strategy to get started. If you’ve already got a good idea of what you’re aiming for in the content stakes, let’s get on with the tips! Keyword research is the practice of seeing what search terms people currently use to access information about your niche; usually for the purpose of search engine optimisation. If you have a website, hopefully you’re already somewhat familiar with these concepts. Carrying out keyword research provides an idea of which search terms – and by extension, which topics – are most popular in your field. Type some basic yet relevant key terms into keyword research tools such as Moz Keyword Explorer and Google Keyword Planner (which sits within Google Ads) and they’ll provide you with a list of popular related search terms. For example, say you’re a corporate headshot photographer. When I type “portrait photography” into Moz Keyword Explorer, I’m presented with a number of interesting topics that can be blogged about – “portrait photography techniques”, “the best portrait camera”, “four categories of portraiture”, and “camera settings for natural light photography” all jump out at me as great subjects to explore through blog posts. Google Search Console is an awesomely powerful tool that gives you valuable information about how your site is performing in search. It’s relatively easy to register your website on the platform, especially if you already have Google Analytics set up. Unfortunately if you are totally new to Search Console, you may need to wait a while for historical data to accrue, but it’s well worth the wait. In this next tip, we’ll be looking at the search queries that people are already using to find your site through Google – or at least searches where your site has appeared in results. Once you’ve logged into Search Console, you’ll be presented with an “Overview” screen. From here, select “Performance” from the menu on the left which will show you a graph displaying your search data over a given period (which usually defaults to the post 3 months) with a list of keywords underneath. This list shows the search terms that people have used either where you appeared as a search result (“impressions”) or where they clicked through to your site (“clicks”). These keywords are already being used to find you, so there may be some great content ideas hidden in there. When I’m looking for information, Google is usually my first destination. However, YouTube comes a close second. If you’re in a niche that has a strong YouTube presence, there may already be a few channels on your radar – you might even have a few competitors who are active on YouTube. Once you’ve identified a few channels in your industry that you like (or indeed a few competitors you want to keep an eye on), head to their channel page and click “Videos” to see a list of all of their videos in chronological order. There is an option to “Sort by…” in the top right, so select “Most Popular”. This will sort their videos by popularity with the most popular first. What talking points or groups of topics seem to be performing well for others in your industry on YouTube? Could you add something new and unique to the debate through your own content? This one’s easy. Make a note of the questions you get asked about your company and your industry. Whether it’s over social media, in person at networking events, enquiries from potential clients, or even at gatherings with family and friends. Remember that the best questions can come from people outside of your niche! Keep a record of all interesting or regularly asked questions and extrapolate them into content ideas. All you need for this next tip is ye olde humble Google search. 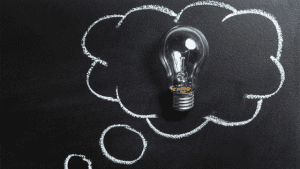 Simply think of a handful of related questions to your field – you may have already identified a few from the previous ideas on this list. As you click on the down arrow next to each question to view the answer, more questions appear underneath. This is a great little feature that points you towards relevant content that is already making waves. No matter what industry you’re in, it’s important to keep your ear to the ground for new developments and talking points in your field. News aggregators like Feedly and Flipboard collate the latest news, articles, and blogs into one place for easy perusal. If you want to save articles to read later, Pocket is designed to do just that. It also has a “Discover” tab that suggests articles it thinks you’ll like. Google Alerts is one of my favourite tools out there for keeping on top of hot industry topics and discussions. 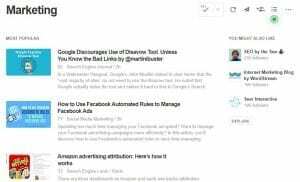 It works similarly to news aggregators but instead of following publications or topics, you set certain search terms that you want to be updated about. Once you’ve set your “alerts”, the service sends you new, relevant, recently crawled search results as a frequent email digest. For example, my Google Alerts are set up to send me a daily update full of brand new search results that relate to marketing, copywriting, content writing, and emerging marketing trends. And because it runs from Google’s search crawling algorithm, you can use search operators too. 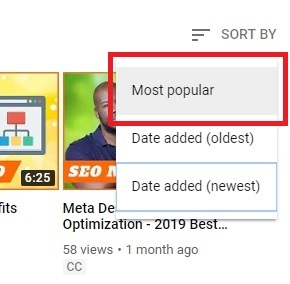 Ahrefs have a great video guide on making the most out of operators in Google Alerts. What are your Competition Talking About? This one is pretty much what it says on the tin. Make a point of checking out your competitors’ websites and social media profiles from time to time. Make a note of what kinds of blogs they publish on their own site as well as the content they’re sharing from others over social media. It’s also worth taking a look on YouTube – do they have a presence there? If so, try the “Most Popular” trick from above to see what topics are working for them. The objective here is never to blatantly copy another company’s approach. We’re looking for inspiration and opportunities to add our own two cents into a popular conversation, certainly not copying and pasting someone else’s approach verbatim. Hopefully with these tips you’ll now have a loo-roll length list of engaging and in-demand content ideas, so happy creating! Does all of this content malarkey send your head spinning? If you’d like tailored content strategy advice, check out my bite-sized content consultancy service. 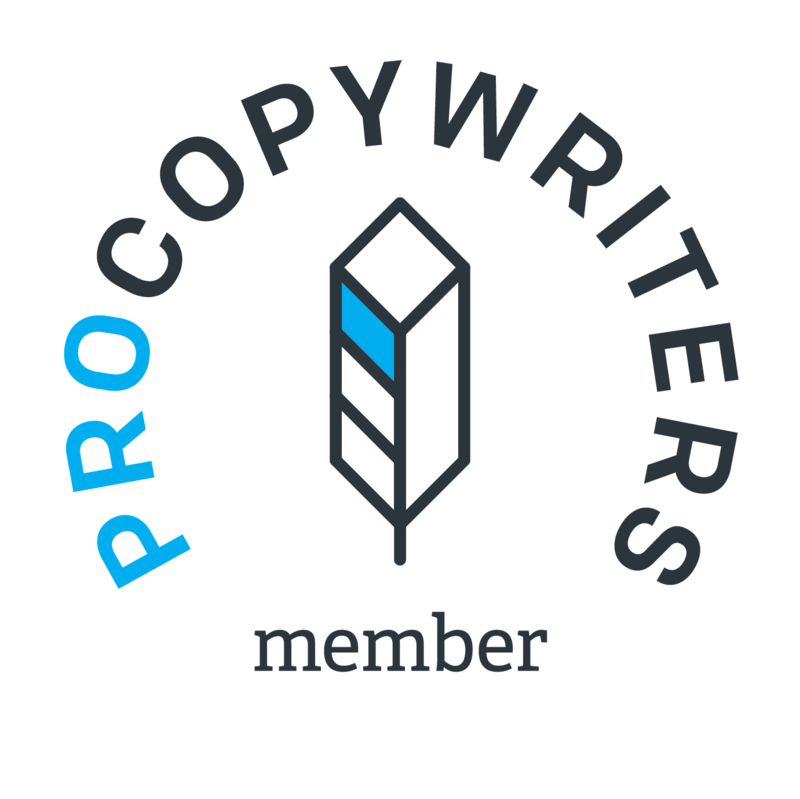 Or better still, take a look at my suites of content marketing support! So it’s over to you – what’s your favourite way of brainstorming content ideas? Which of these methods did you already know about? Are there any other methods you use that haven’t been mentioned here? Hit me up on Twitter and let’s chat – I’m @JeniiLowe.